Utah, United States. Read the Story. See the Photos. Plan a Visit. Check out our actual expenses in November 2014 and see how it compared to our budget. 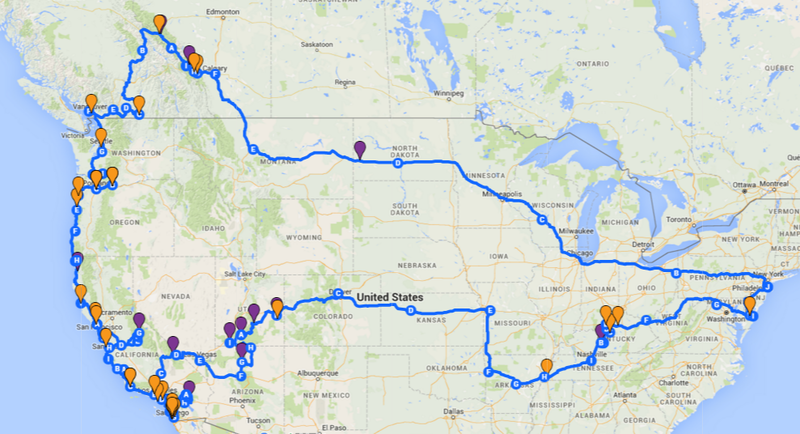 November 26 – December 1, 2014: We made it to Colorado! November 25 – 26, 2014: From Moab, we made our way into Arches National Park after dark and found a campsite in Devils Garden Campground which is at the end of the scenic drive through the park. November 25, 2014: We left Bryce Canyon National Park and headed towards Arches National Park via Utah Scenic Byway 12. Much of the route was through the Escalante Grand Staircase National Monument area which was filled with more beautiful, colorful landscapes, and interesting rock formations.